I still vividly remember that evening of 1968, when as a young geologist , I was loitering on the road on the Shimla Ridge. The sky kissing Cedar trees loomed large over my traverse. There was a particular tree with a bill board, which read, ‘You are standing on the water divide between the Indus and the Ganga Rivers. All water on the south of this ridge flows into the Ganges and finally reaches the Bay of Bengal; and water on the north of this ridge flows into the Arabian Sea, via the Indus.’ After reading that notice, I stared at the road, the surface of which was slightly raised in the middle. As I pondered over it, I saw a tiny hump of tar on this slight convexity in the middle of the road. I realized that a tiny drop of dew falling on this blob of tar must be getting divided to reach two separate seas or rather two separate politically controlled countries! In the nature, I felt that each and every drop of water is thus accounted for and since that day, to know more about the Ganga and its tributaries became a passion for me. I became curious to know how tiny droplets of water must have formed the mighty Ganga and how the river must have become sacrosanct to the Hindus! As our ancestors evolved from a hunter gatherer to cultivator stage they preferred to settle on the river banks. All major civilizations of the World were borne, proliferated and ultimately perished on the river banks. In our Asian subcontinent, the Indus Valley Civilization is a classic example. The downfall of the Indus Valley Civilization, led to the rise of the Ganga Valley Civilization. We north Indians are the occupants of the various tracts of land on the banks of this mighty river. 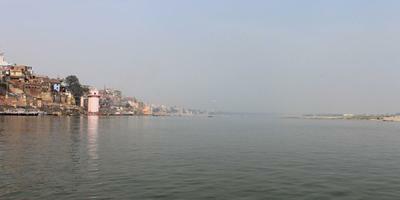 The River Ganga has been enigmatic to me ever since long. There is an anecdote related to this fascination. A dip in a river purifies the soul is a common belief. 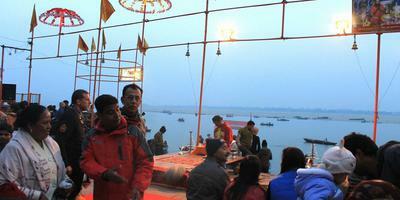 Hindus believe that a dip in the Ganga takes them to the heaven after death. In the Christianity a person is baptized with water from the Jordan River. Jordan means ‘the giver’ and Ganga means the one which flows. Both the rivers are much revered. The humanity and the rivers have been connected with each other since times immemorial. It will not be incorrect to say that ‘today’s India is a gift of the Ganga.’ If Ganga was not there, the fertile plains of north India would not have been there. Look at the geographical map of this part of Asia, look at the points of origin of the great rivers Indus, Ganga and Brahmaputra. Indus and Brahmaputra originate from different slopes of Mount Kailash and flow in two different directions. Indus at Nanga Parvat and Brahmaputra near Namche Barwa take a southerly turn. Is this just a coincidence or the creator’s will or the nature’s way of giving respect to the holy Ganga? 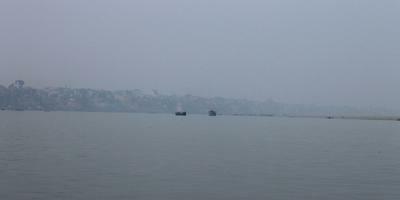 Indus and Brahmaputra which seem to hold the Himalayas or the gigantic tresses of Lord Shiva, like a ribbon. As per the mythology after getting entangled in the tresses of the Lord Shiva the force of the mighty Ganga was reduced enough to make it flow through the valleys towards the plains! My readers may be wondering, why a geologist is taking us for a ride and spinning a yarn of mythology about the Character and qualities of the holy river? There is a reason for that. Actually the era in which the story of Ganga was written the term science had not evolved. Thus, in order to convince the man these myths were created to make him understand the sanctity of the river or for that matter, water. 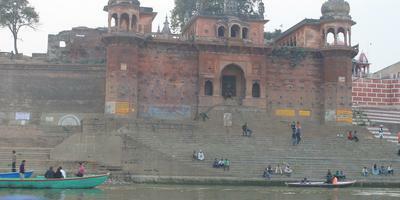 That is why I am also taking help from the mythology to explain you the might of the Ganga. Well that was the mythical narrative of the descent of Ganga, as per the belief of the Hindus. 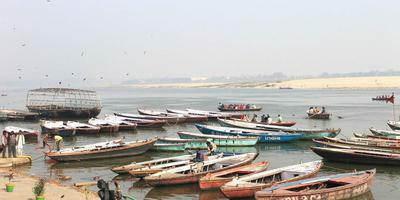 The fact is that Ganga is India’s longest (2525km) river. It is the third longest river in the world and has a catchment of 1060000 sq.km. The total area of this catchment is spread from the southern slopes of the Himalayas to the northern limit of the Indian subcontinent, covering a total surface area of 26.2%. 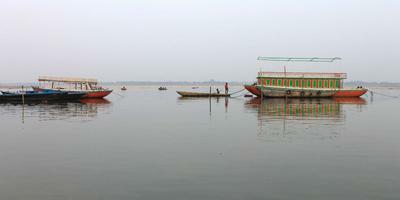 About 80% of the Ganga catchment is spread over the Indian subcontinent and rest is in Nepal, China and Bangladesh. Now, let us scientifically peep into the past of the earth. Some 20 million years ago, where the Himalayas are situated, used to be a gigantic ocean, the Tethys Sea. The Indian plate came floating on the surface of this Sea like a Noah’s Arc and collided with the Asian Plate. So powerful was the collision, that the world’s youngest and loftiest mountains, the Himalayas were born. The outcome of this collision was that the geography of this region was rewritten. 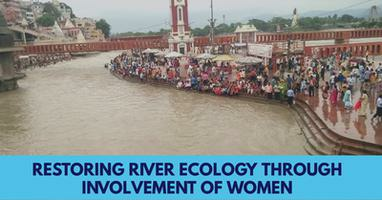 Consequently, the north flowing rivers like Chambal and its tributaries had to take a southern trend. 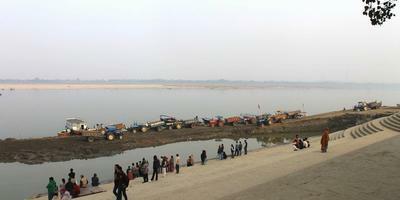 Even today before meeting the Yamuna, the Chambal flows north and suddenly takes a U turn. The newly emerging rivers from the Himalayas, that is Indus and Ganga began flowing south-west and south-east respectively. The nature, which we presume that we are ruling upon has given us wonderful treasures, but we are bent upon plundering them. If the Himalayas were not there, we would not have been here, because the freezing winds from Tibet would have made our sub-continent a deep freeze. It is only because of the Himalayas, that we have monsoons, which make the rivers carry more and more silt and loam and spread them layer by layer on the plains after floods succeeding the rains. This action of the rivers enriched the soil and made these plains the most fertile plains. Because of fertility these areas like U.P. and parts of Bihar developed into rich agrarian states. Naturally the density of population increased and the rivers got stressed. The famous researcher on Ganga, Prof Indrabir Singh says that Ganga is around 25000 years old. In the plains of U.P. rivers like Banas, Chambal, Ken, Betwa and Sone join the Ganga, while from the north Ramganga, Yamuna, Gomti, Sharda, Karnali, Gandak, Kosi, Brahmaputra and its tributaries are the major tributaries. Each one of these rivers is a Ganga in itself. All these rivers had a different look during the Mughal period. The British knew that if India has to be crushed, then its culture has to be brought to knees. 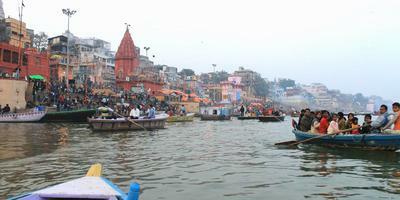 They knew that Indians have a great faith on the Ganga and they targeted it first. They began disposing night soil into Ganga. And after their departure, we continued to do so like the blind followers.